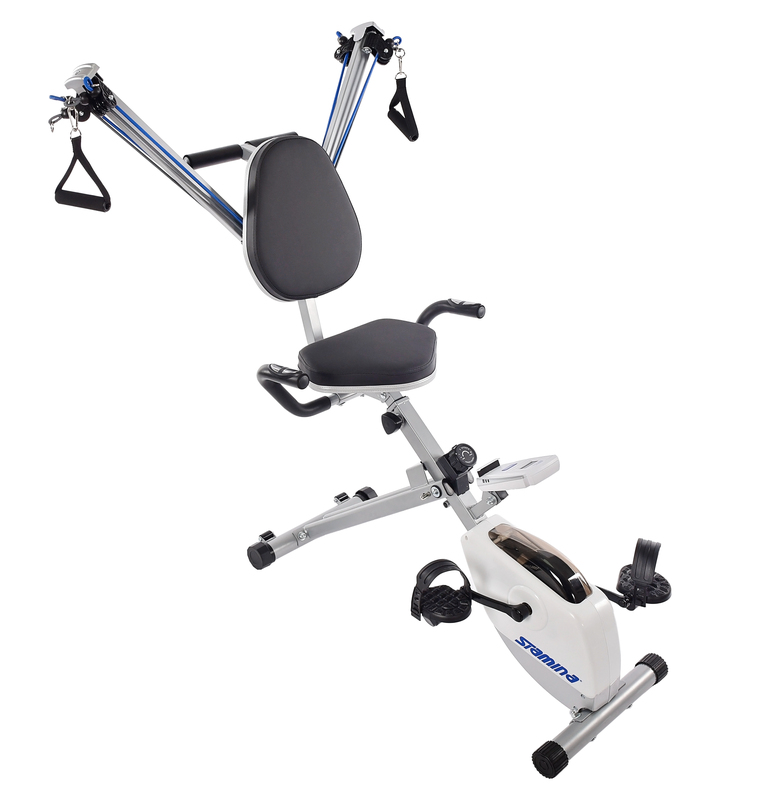 The Stamina Elite Total Body Recumbent Bike will take you on a more efficient, more effective ride. 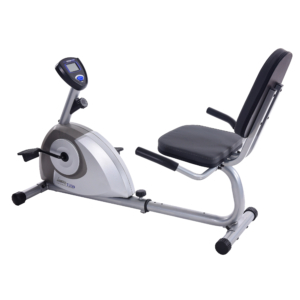 Engineered to broaden the traditional target of cycling, the Elite Total Body Recumbent Bike does exactly what its name declares: it works your entire body. The exercise bike also lets you drive your heart rate to peak levels – earning the metabolism-boosting benefits of a heart-thumping cardio routine. Use in your home for cardiovascular fitness, upper body and lower body toning. Just a small space is required and no electrical outlet required. Recommended for users 5 feet tall and taller.